TSP Legal > News > General News > Confused by Help-to-Buy? There was some confusion in the media recently when the Government announced that one of its suite of Help-to-Buy schemes, the Mortgage Guarantee, would be closing on 31 December 2016. Many assumed that this closure meant that other schemes in the suite would be closing too, but this is not the case, and the Help-to-Buy ISA, Shared Ownership and Equity Loan Schemes will continue, it is only the Mortgage Guarantee scheme which will close. 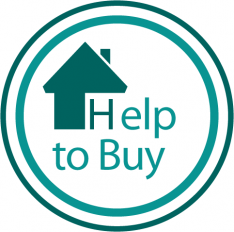 Help-to-Buy ISA: If you are saving to buy your first home the Government will boost your savings by 25%. You must save at least £1,600, the minimum bonus available being £400. The maximum bonus you can receive is £3,000, for which you will have to have saved at least £12,000. Your solicitor will apply for your bonus when you buy your first home. Shared Ownership: If you cannot afford to buy 100% of your home you can buy between 25-75% and pay rent on the remainder, purchasing a larger share in the future at the point you can afford to. Equity Loan: The Homes and Communities Agency lend you up to 20% of the cost of buying a newly built home, so that you will only need to find a 5% deposit and then raise a 75% mortgage to make up the balance of the property price. (For properties within Greater London, the 20% can be increased to as much as 40%). Mortgage Guarantee: This type of mortgage works in the same way as any other, but because it is backed by the Government, lenders are able to offer a higher loan to value percentage, up to 95%. This scheme closes 31 December 2016. Another useful website to visit is www.helptobuyese.org.uk which has lots of additional useful details about the schemes, including how to apply. The Residential Property team at Thompson Smith and Puxon has worked with Help-to-Buy clients since the scheme was introduced and has a wealth of experience in this area.